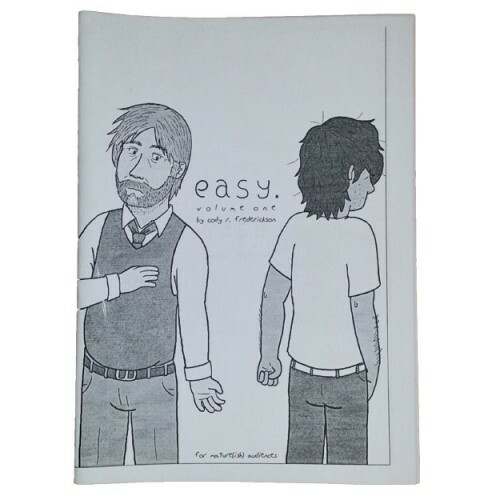 Easy is an ongoing weekly comic about Josiah Douglas, a deeply closeted middle-aged English teacher. He isn’t exactly “happy with his lot in life,” but he’s at least worked himself into a comfortable enough rut. That is, until he meets a former student at the local adult superstore, and everything that he has worked so hard to hide begins to take the center stage of his life. While on the surface Easy looks like a “coming out” story, it’s really about the general feelings of isolation we all deal with anid the difficulties we all face in searching for acceptance, and how maybe if we open ourselves up, we can find it in the places we least expect. 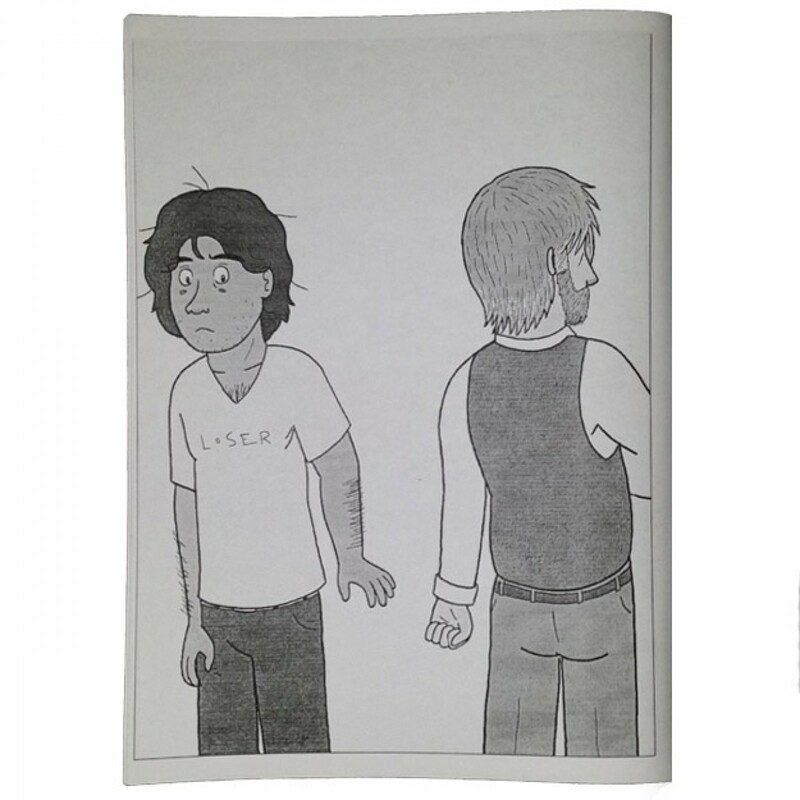 Volumes #1 and #2 of Easy, together at a reduced price.Easy is an ongoing weekly comic about Josiah ..
Bookmarks about the webcomic Easy.The back reads "An ironically titled comic for sad adults and..